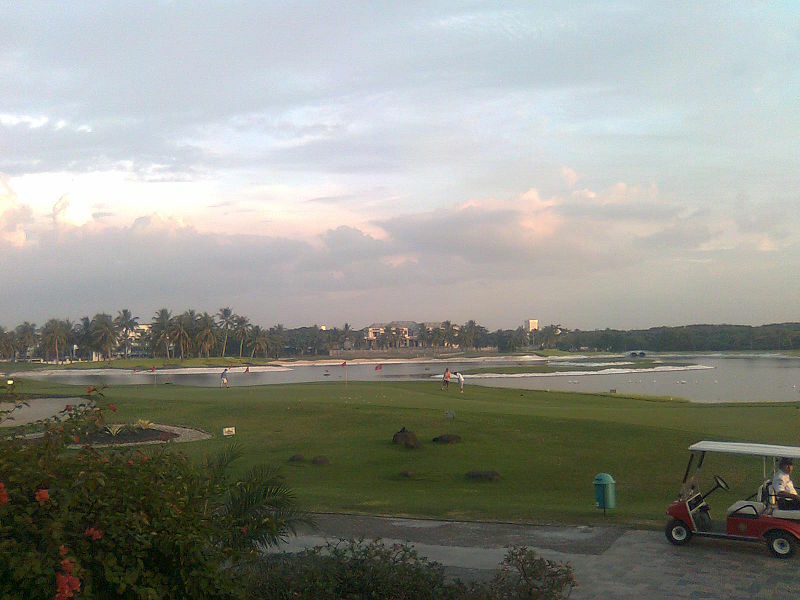 The Damai Indah Golf, Pantai Indah Kapuk (PIK) Course is located close to the Java Sea and sometimes is referred to by locals as “The Spirit of the Sea”. PIK is 22 miles to the north of Damai Indah Golf’s other 18-hole layout, the Bumi Serpong Damai Course and around 30 minutes from the Jakarta International Airport. 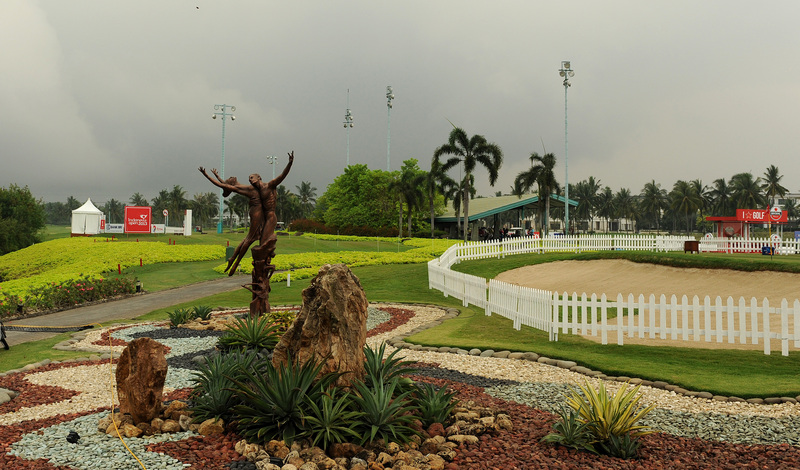 Professional tournaments held at PIK include the World Cup in 1983 and the 2007 and 2010 editions of the Indonesia Open. The Robert Trent Jones Jr. designed course is a 72-par, 6,048-meter layout that integrates the coastal wetlands to create a playable track with lots of variety. Legendary design trademarks such as undulating greens and challenging fairway bunker complexes on every hole. Marshlands, native trees and water are used effectively to add to the challenge. However, with a variety of teeing areas the PIK course is playable by golfers of all abilities. 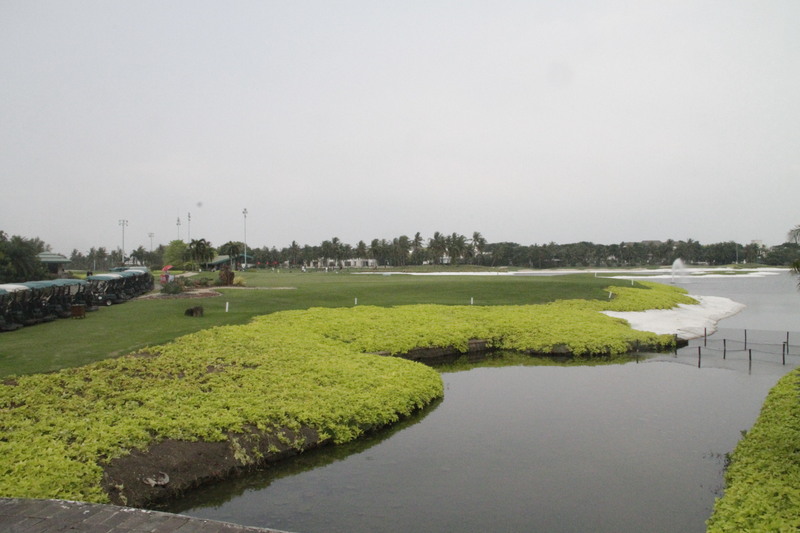 The front nine plays clockwise around the perimeter of PIK and switches to the counterclockwise on the par-5 sixth. Holes 10-13 play away from the main staging area while holes 14-18 are routed back towards the clubhouse. The final three holes are the best at the PIK Course. 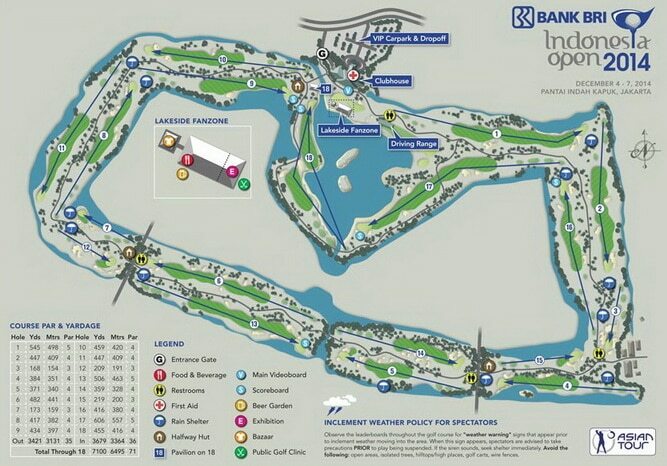 Hole 16 is long 216 meter par-3. A perfect tee shot is needed to avoid the water flanking the green front and left. Hole 17 is a par-5 that can be taken on in two. The 18th is another risk-reward hole. The par-4 is an excellent place to settle any bets for the day. Facilities at PIK are adequate. The driving range forces hit into a large lake with floating targets. A large clubhouse includes a coffee shop and restaurant which serves a variety of snacks and international dishes, respectively. The PIK course is floodlight for late afternoon and night golf. Overall the Damai Indah Golf, Pantai Indah Kapuk Course is an excellent choice for anyone on a Jakarta golf holiday. Have you played golf at the Damai Indah Golf, Pantai Indah Kapuk (PIK) Course and took some nice photos that you would like to share with other golfers? Send them to us and we may upload them here. Thank you in advance!